Whether you are getting ready to pop the question or thinking about upgrading your current ring, you may have considered buying a pre-owned engagement ring. Pre-owned engagement rings are a fantastic option for today’s savvy shopper. 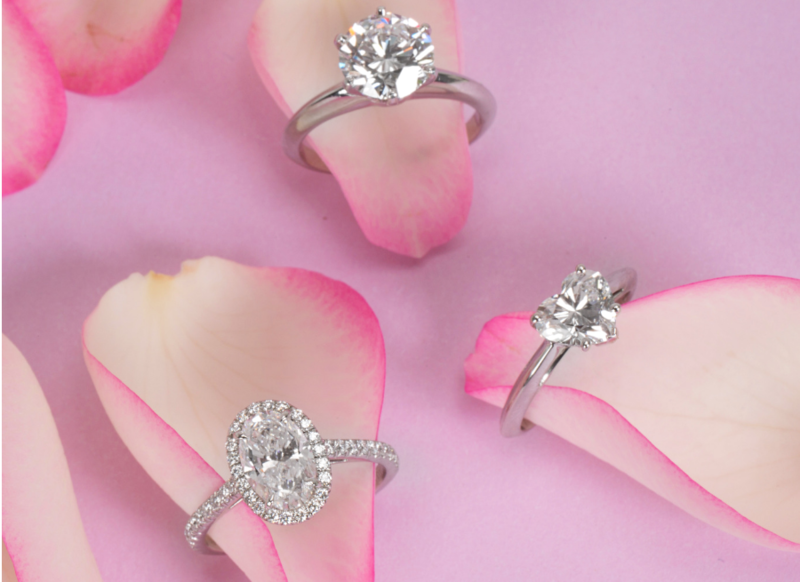 From their affordability to their eco-friendliness, we’ve gathered the top 5 reasons to buy a pre-owned engagement ring. According to a study in 2017, men spent an average of $6,163 on an engagement ring. We’ve all heard that we’re supposed to spend two months of our salary on an engagement ring. However, this “rule of thumb” comes from De Beers, one of the world’s leading diamond companies, in their own advertisements to increase diamond engagement ring sales during the 1940s. While spending two months of your salary on an engagement ring isn’t for everyone, the good news is that pre-owned engagement rings come at a fraction of the price of a new ring. When you buy a pre-owned ring, you can enjoy a beautiful ring and use the money that you would have otherwise spent towards your wedding, honeymoon or savings. So why are pre-owned engagement rings so affordable? It’s because much like when you drive a new car off the lot, the moment you walk out the jewelry store with a new engagement ring, its value plummets. So by buying second-hand engagement rings, you are getting the discounted second-hand price. Which simply means that your money will go further buying second-hand than brand new, allowing you to buy a bigger and better quality engagement ring. Some people have the impression that a secondhand ring is of lower quality than a newer ring, just because it has been worn before. However, this could not be further from the truth. Engagement rings are designed to be worn for a lifetime, which means that they are crafted to withstand daily wear. As diamonds are the toughest substance on Earth, you can feel confident that a used diamond ring will look just as good as its new counterpart. 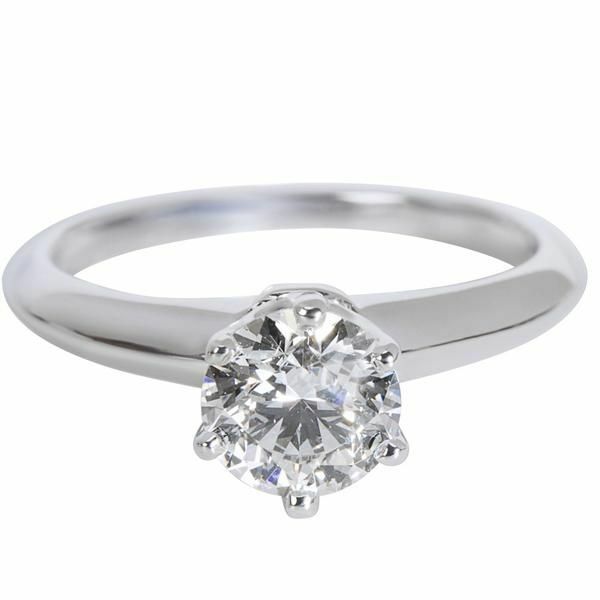 By buying pre-owned engagement rings, you are securing the same quality for a much lower price. As a society, we are becoming increasingly aware of the issue of sustainability. Pre-owned engagement rings are undeniably eco-friendly. By choosing a pre-owned diamond, you are reducing the demand for another diamond to be mined. Mining diamonds is a complicated and laborious process which can harm the surrounding air, soil and water. Therefore buying a pre-owned diamond ring is an environmentally conscientious purchase. Pre-owned engagement rings can look just as great as the day they were bought. When cleaned and polished, an engagement ring that had been worn for multiple years will look identical to its jewelry store counterpart. At Gemma by WP Diamonds, our experts thoroughly inspect each second-hand engagement ring to ensure there are no missing stones, dents or other imperfections. The reality is that many diamonds in the market are actually recycled. A recycled diamond is one that was previously owned and later put back into the market. This means that a diamond that was once in an engagement ring may be remounted onto a new setting and sold as a new ring. So with this in mind, why not simply buy a pre-owned engagement ring and enjoy the discounted price? With the endless amount of pre-owned engagement rings on the market, there is no shortage of distinctive styles to select from, including Art Deco or Edwardian. Vintage engagement rings allow you to own a part of history and can feel custom to your own personal style while still holding their historical charm. These older rings are imbued with rich character and style that you might not be able to find in a new ring. At Gemma, we make buying pre-owned engagement rings fun, easy and affordable. At up to 80% of retail prices, you can purchase second-hand, expertly authenticated engagement rings from the brands you love at a fraction of the price. Our wide range of genuine products, fantastic prices and outstanding customer service have earned us an A+ with the BBB. We provide a convenient 14-day return policy, free US shipping and affordable monthly payments with our partner Affirm. Finding your perfect engagement ring has never been easier or more affordable. 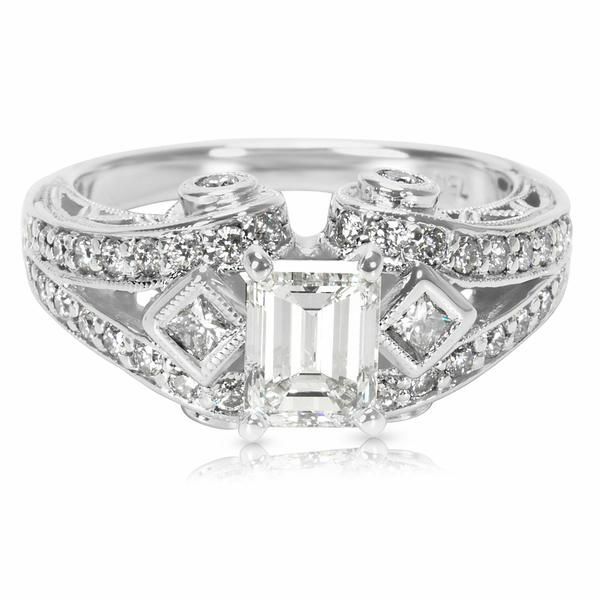 Check out some of our most popular engagement ring styles. 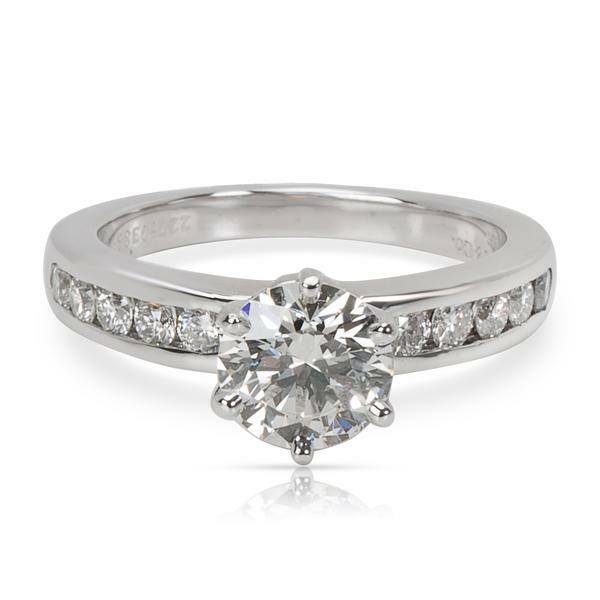 Browse our authenticated engagement rings at exceptional prices.